She played at several of Haydn's first round of London concerts. Her husband was also a famous harpist, and he had been employed for a while at Esterházy in the 1770's. 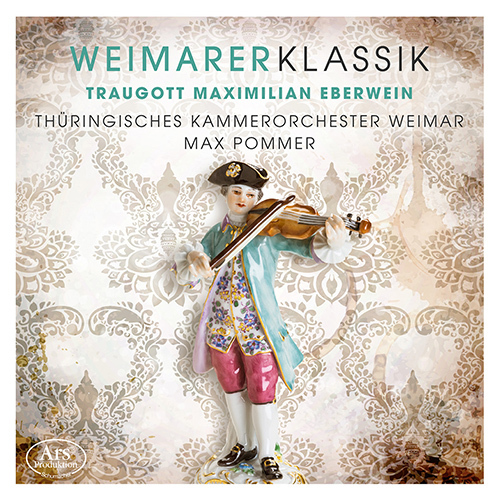 I have a couple of recordings of Krumpholz concertos. QUite nice if you are a pedal harp fan. Are there transcribed harp works of Haydn? I'm not aware of any, however, transcriptions were such a huge business back then that nothing would surprise me. 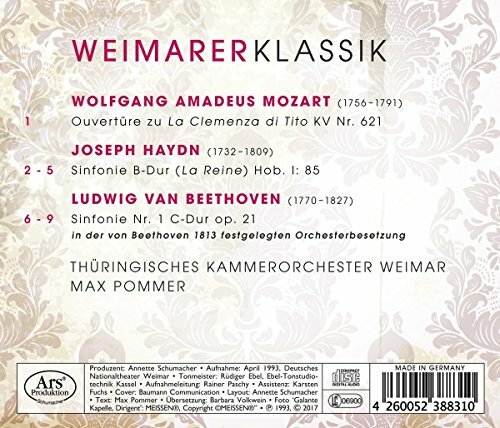 You know that some of Beethoven's early variations in the Bonn era were for 'Clavier or Harp'? I would like to hear some harp versions, I'm surprised some repertoire-starved harpist hasn't jumped on that. I thought there were 2 of them. I don't have any reference material here at work. Robles, eh? I have her doing Mozart's concerto, very nice! I'll re-check carefully. Robles; the disc that 64 is on is quite good. This new recording has a number of features of interest. For one thing, it repeatedly mis-lists the composer's life span as 1775-1791. He in fact lived 40 more years, and these compositions date from the 1820s. For another thing, the booklet contains an advertisement for a home goods store?! The booklet notes speculate that this is the only surviving symphony. My interest is certainly picqued. I'd get them for the artwork alone. Will definitely follow that development with interest. Absolutely, good news. 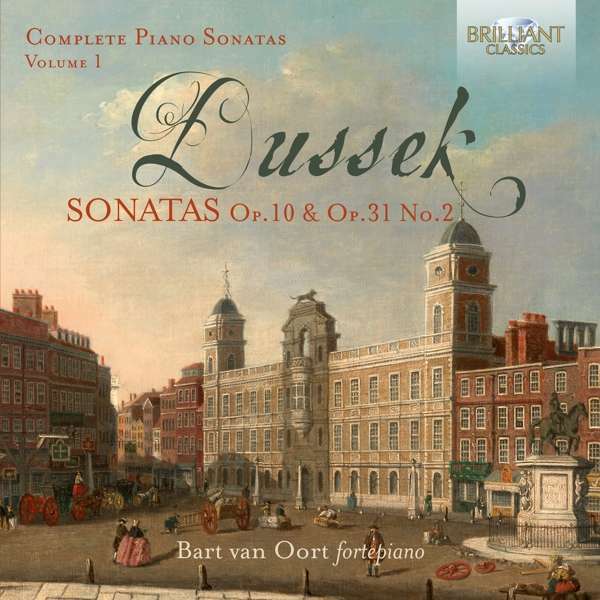 I love Dussek's sonatas, and there are many I haven't got fortepiano recordings of. I look forward to having the complete on my shelf! That does look very nice, I rather enjoyed the disc in Staier's DHM box earlier today. Yes, I like the Staier disk too. IIRC, it was the one that got me onto Dussek at the start. and there are many I haven't got fortepiano recordings of. You know that [Pierre Baillot] frequently plays and takes great pleasure in Boccherini's quintets. I was desirous of hearing him in these quintets, with about a dozen of each I am acquainted, in order to see whether from the manner in which he executed them he could succeed in making one forget the poverty of the compositions. But well as they were given by him, the frequent childishness of the melodies, and the poverty of the harmonies (almost always three-voiced only) were no less unpleasing to me, than in all those I heard before. One cand hardly understand how a cultivated artist like Baillot, to whom our treasures in composition of this kind are known, can bring himself to play those quintets still, whose worth consists only in the regard had to the period and circumstances under which they were written. But that they are [in Paris] listened to with as much plesaure as a quintet of Mozart, is another proof that Parisians cannot distinguish the good from the bad, and are at least half a century behind in art. ...the effect produced by Baillot [in a G-major Quintet by Boccherini] which he was not afraid of playing immediately after the formidable C-major Quintet of Beethoven (The Storm). Mr. Fétis, in attendance of this concert, was, like everybody else, bewitched; I can still remember his surprise, his enchantment at hearing this simple, naive music succeeding the powerful and vigorous harmonies of the German master. It was wonderful! Comparisons, nobody dreamt of. We were moved, transported, spellbound; that was all. Such is the power of the inspirations which flow from the soul, that they exercise an irresistible dominion, because they go straight to the heart! and then please decide for yourself who was really narrow-minded, tasteless and backward-looking. Page created in 0.051 seconds with 30 queries.